Everything is readying in Manila, Philippines for the third WBC Women’s convention, November 16-19th. The main topic will be the safety and well being of the women boxers. 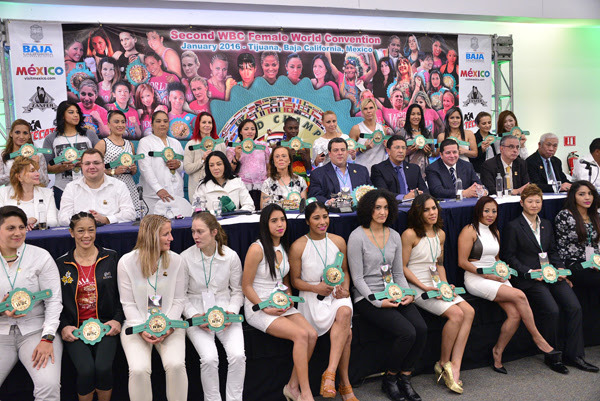 During the second Convention in Tijuana, Baja California, the Chairman of the Medical Committee, Dr. Paul Wallace, stressed the horrendous risks that a pregnant boxer runs when fighting in that condition. Although it seems totally implausible, it has happened! The WBC has implemented mandatory medical tests, one of the main ones is for pregnancy. Even when the fighter`s team presents the laboratory test, the doctors of the local Commission perform a “quick test” of pregnancy to corroborate the previous result. Confident that this Convention will set a special course for women’s boxing, we will also follow up on the concerns and the issues that boxers have expressed. – Medical issues and importance of the Clean Boxing Program. – Impact of women’s boxing on social networks. – Promotion of women’s boxing. – An important talk will be offered on the main medical topics. – We will talk about the history of women’s boxing worldwide and the impact it has had, now that it`s been organized and recognized all around the world. – Empowerment of women in sports.